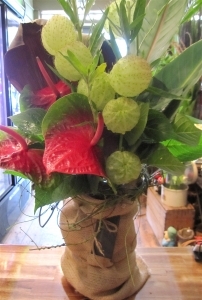 We are a genuine 'bricks and mortar' retail florist and we are based in the vibrant shopping hub of Yarraville Village. You will find our store in Anderson Street, just 50m from the station on the city side. 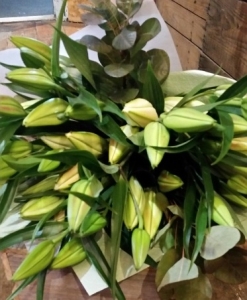 We are known for our use of more unusual and less common blooms as well as all your favourites like red roses and oriental lily, and our unique way of putting them all together to create stunning bouquets and arrangements. We have been servicing the majority of local businesses and locals since 2009 and in that time have built up a reputation for excellence and customer service without parallel. Our reviews speak for themselves. We 'cater' for all events from the most extravagant wedding to an indulgent dinner party. We work with production companies and photography houses, supplying florals and ideas for AD's and FA's. 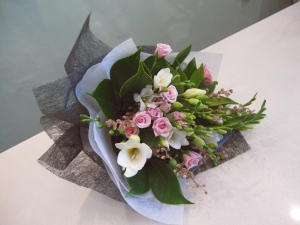 All the usual milestones and special occasions, Mother's Day, Valentine's Day, Christmas flowers. 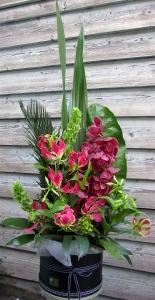 We are as far as we know the only florist that makes micro arrangements which are very popular with our customers. 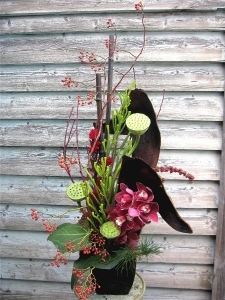 We also can design genuine Ikebana arrangements and we also teach Ikebana through our classes which we hold on certain Mondays, (contact store for details). We sell glassware; vases, bowls etc and pot plants such as orchids, succulents,cacti, Mother's tongue and other plants that are in season. Located at 51 Anderson Street, Yarraville. We deliver to all suburbs, using couriers for distances of more than 10km from our shop. I couldn?? ?t be happier with Birchbox. I love the way you receive a photo of the flowers you have sent. Flowers ordered Ireland and delivered Australia the next day. Top class service. I would recommend everyone to use this service. Easy to order, prompt efficient delivery. The flowers were lovely and delivered on time - thank you. 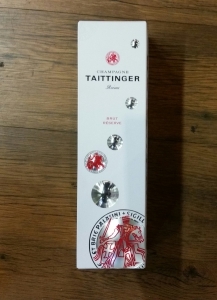 It was very easy to order and great experience all round. A beautiful, elegant arrangement of flowers that were so perfect for the occasion. The colours of the flowers and the paper and bow were as gentle as the life of the person we were celebrating. Thank you for your wonderful service and product. beautiful flowers, delivered as requested. The flowers were beautiful, exactly what I&rsquo;d ordered and delivered on the day I&rsquo;d requested. I loved the photo that they took of my daughter receiving them. Well done! I ordered on line Sunday afternoon and flowers were delivered just after lunch Monday. 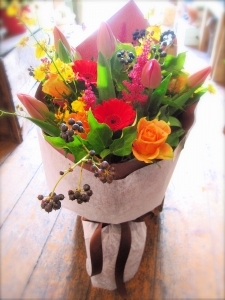 I really loved receiving an email to confirm they'd been delivered and I think including a photograph of the flowers is a great customer service (plus they looked beautiful, exactly what I'd hoped for). It's always a bit risky sending flowers on line that you haven't selected or seen yourself, this is a great touch. 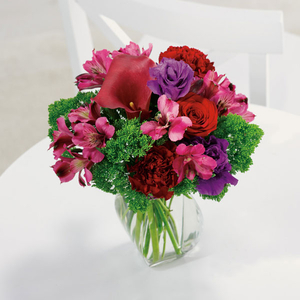 Very easy ordering process and the flowers were delivered when requested. Beautiful bouquet and a photo of actual bouquet sent to me to show me what was delivered. Am so glad it matched the one my good friend sent to me to thank me! ???? Can highly recommend your service. A photo of the order was sent to me which I think is good policy. The recipient was happy with the arrangement. I was sent a photo of the flowers when they arrived. They looked beautiful. Thank you. I sent flowers to a very special friend in Australia I live in Scotland. She said they were beautiful. I liked the fact that I was sent a photo of them by the florist. I was kept informed of the delivery by email. Excellent service. My friend was very happy with her birthday flowers; top service! Chose Birchbox in AUS from th US to send a bouquet to a friend. Arrangement photos were lovely. They heeded my petal color request as a slight adjustment to an offered floral design online. It was delivered on time and impressed w its beauty as hoped. Absolutely stunning. Not cheap but exactly what I wanted. Thank you. My daughter thought the flowers were amazing, such a gorgeous selection and arrangement! It made her day, and mine. Thankyou! Loved that the flowers were delivered so quickly. The picture I received showed me just how beautiful they were. In fact they were better than those on the website. The flowers where really nice. Excellent service and great to hear when they were delivered and what the bouquet looked like. 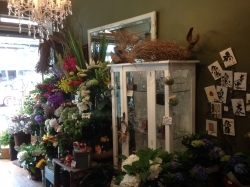 Lovely florist with something a bit different! <br/>Flowers &amp; service amazing! Excellent service once again, even to the extent of contacting me in the UK to resolve a delivery issue. I'd give them six stars. 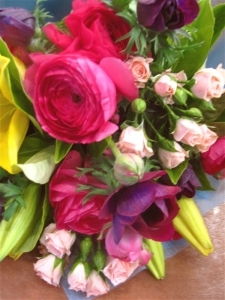 Flowers ordered overnight from UK, delivered 11am next day, email notification sent to me including photo of bouquet. Recipient was delighted with them. Excellent services and beautiful flowers! The recipients loved the flowers, they mentioned that they were gorgeous & that Birchbox Florist is her favorite local florist. Quick, easy & reasonably priced - thank you. Beautiful arrangement. Different and striking. Far from the same old thing. My friend loved the flowers. They were delivered as per instructions. 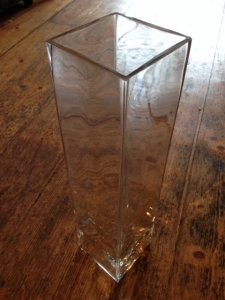 <br/>Is it possible to get a photo of the arrangement that is delivered. I had to ask my friend to do that. Flowers delivered as requested, card looked lovely and the photo on delivery was a nice touch. Thank you. Lovely flowers. Friend was very happy and thrilled with the tulips! Thanks! Wonderful service and the flowers were amazing. I will definitely be using you again and would highly recommend. The flowers were absolutely beautiful and so fresh!! Pic didn't look as impressive as it did online. My mum still loved the flowers. 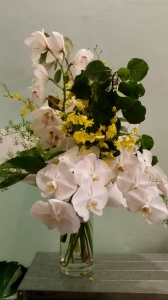 The flower arrangement was much nicer than the website photo, a really very nice touch when you take a photo at delivery and send to to me so that I can see a photo of the person receiving the flowers. A very special treat for us. Apparently the flower arrangement was lovely and the recipient was very pleased. Beautiful flowers for a special present that our parents loved, thank you! Awesome. Customer service was also very nice. Quick reply to my query on email. Such a beautiful selection and exactly what I had envisioned, thank you for supplying what was advertised, much appreciated. A gorgeous delivery to a dear friend. Thank you! Amazing flowers and I know this as I received photos of the bunch of flowers that were sent. The flowers were magnificent. My friend absolutely loved them! 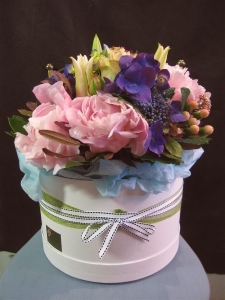 Birch box is a wonderful florist and I will certainly recommend to all my friends. I have been told by the recipe can't I have been told by the recipient that the flowers were lovely and they were very happy with them. This was my second order through Birchbox Flowers and they didn't disappoint. Apparently the flowers were really beautiful. I asked for soft colours and explained they were going to my daughter who had just miscarried twins. They were really appreciated. Birchbox turned out to be my daughter's favourite Yarraville florist and she was delighted with the Xmas arrangement. I will be happy to order from Birchbox again. the flower arrangement was outstandig ! The orchid that was delivered to my daughter for her birthday was lovely and the photo sent to me showed me exactly what was sent. I was a little dubious (from past experience with other florists) that the flowers delivered would be much like like the picture I picked. I need not have worried. From the photos I see they are just as beautiful as the picture on their website. Perfect! Love the uniqueness ! Only order from birchbox ! Beautiful arrangement and even received a photo of the recipient with the flowers to confirm delivery ... Awesome!!!! Very nice, quick delivery thank you! I always purchase flowers from Birchbox Flowers and am consistently happy with each arrangement. My recipient was overwhelmed with her flowers, and they arrived super quick post-order. Thank you! Was recommended by a friend that regularly uses this florist - I have found my new florist now too! Girlfriend loved the flowers, they look amazing thank you! Exceptional, thanks for the extra effort to send me a photo. The flowers were perfect I just hope they last a really long time because the arrangement is spot on too. 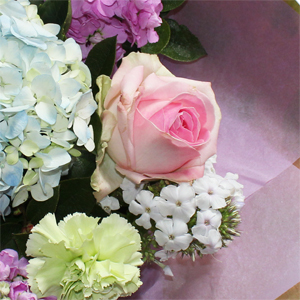 Stunning flowers, thoughtful, reliable and careful delivery. Highly recommended!!!! A bright, colourful, premium bouquet with flowers you don't see in a lot of other flower shops alongside those you do, custom designed to compliment your occasion. A gift of flowers using the best seasonal blooms of the day chosen by our head florist and beautifully wrapped in our signature style to suit your particular occasion. 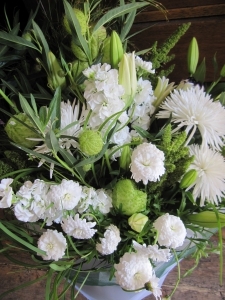 A posy style hand-tied bouquet of shorter stemmed blooms. Cafe style vase arrangement with natural wrap and the most creative mix of flowers and foliage for any space, large or small. A full bouquet of fresh white and green blooms in our classic wrapping style. 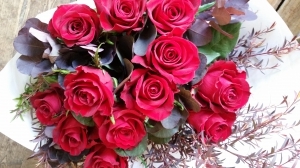 Twelve premium quality, long stem roses stylishly wrapped in a way that is designed to impress. 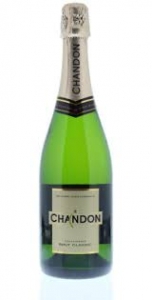 Hotel package - 36 red rose bouquet, a bottle of quality French champagne, chocolates, cheese and crackers. 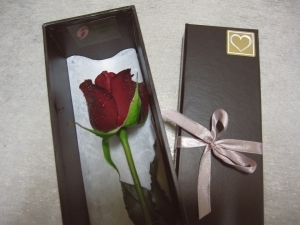 Single boxed rose in vibrant red with a token chocolate pack. Includes PRINTED message card - Simple! Classy! 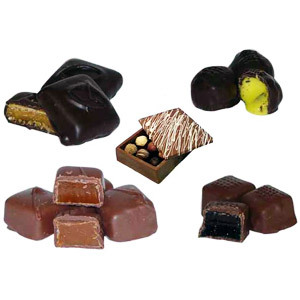 Quality chocolate selection from KokoBlack Ideal gift with flowers.